Is Blockbuster about to take on Apple TV? Blockbuster is developing a set-top device to compete with Apple TV, according to the Hollywood Reporter this week. 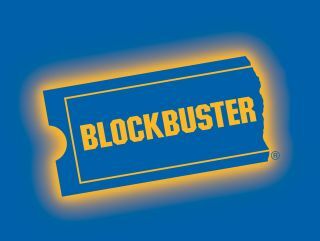 A spokeswoman for the company said: "We're talking to numerous companies and vendors about products, services, alliances and initiatives that can help us achieve our mission to transform Blockbuster into a company that provides access to media content across multiple channels -- from our stores, by mail, through kiosks, through downloading, through portable content-enabled devices -- so it's not surprising that there are rumors out there." The Hollywood Reporter claims that: "The device is believed to be a stand-alone product akin to Apple TV as opposed to embedding a Blockbuster-branded service in such existing devices as Microsoft's Xbox 360 or TiVo." "While going it alone could give it a distinctive positioning in the crowded 'over-the-top TV' marketplace, that won't come without significant investment in marketing and manufacturing, though the latter cost might be shared with a consumer electronics company that has yet to disclose its participation." According to the report, the Blockbuster branded set-top box will be developed in association with Blockbuster-owned Movielink and is expected to launch later in April in the US. More on this as we get it.